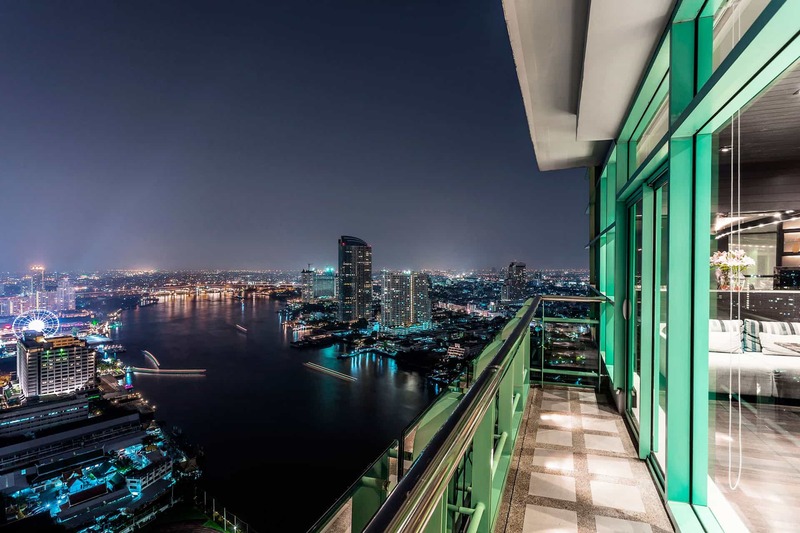 Next to the stunning Chao Phraya River in the heart of Bangkok, the Chatrium Hotel Bangkok Riverside Bangkok offers some of the most staggering skyline views in the city. With world-class rooms, facilities and amenities, this stylish hotel makes for the perfect holiday or business stay for those who enjoy elegance and panache. All rooms feature tall floor to ceiling windows that offer the best views, while coming equipped with flat-screen TVs, private bathrooms, stylish dark wooden furnishings, mini-bars and private balconies. 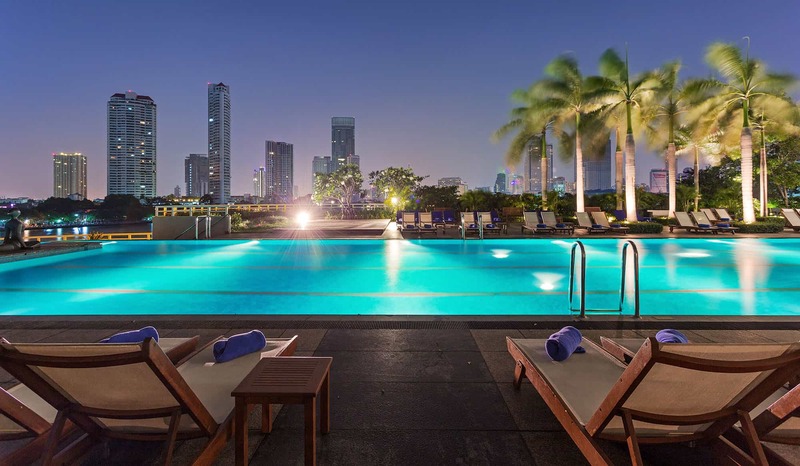 The Chatrium Hotel Bangkok Riverside Bangkok onsite facilities include an outdoor swimming pool, a spa, a fully-equipped fitness center, lots of free parking, a 24-hour lobby, free Wi-Fi and sauna. Take advantage of the hotel’s Pier 28 restaurant or a buffet on the Royal Barge, or even some modern Cantonese food at their Silver Waves eatery. The choice is endless. With a free shuttle bus every 15-minutes, you can get to the nearest BTS Skytrain station with no fuss whatsoever. 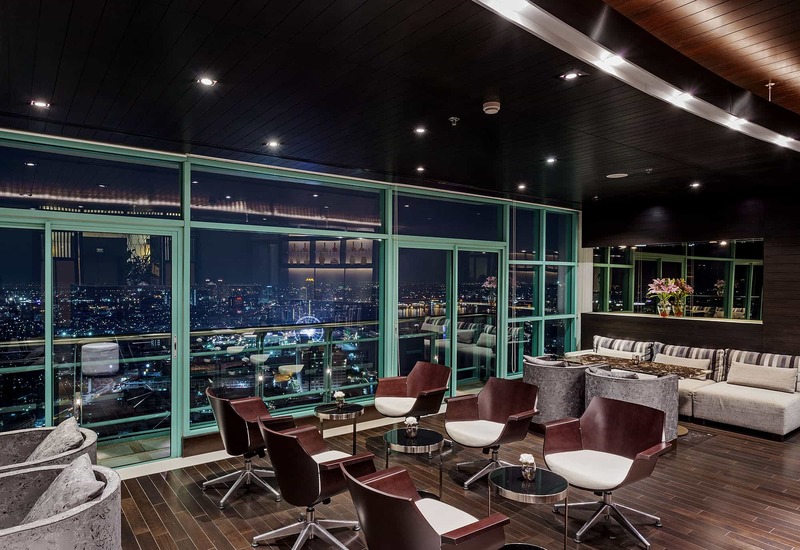 Next to the stunning Chao Phraya River in the heart of Bangkok, the Chatrium Hotel Bangkok Riverside Bangkok offers some of the most staggering skyline views in the city. With world-class rooms, facilities and amenities, this stylish hotel makes for the perfect holiday or business stay for those who enjoy elegance and panache. All rooms feature tall floor to ceiling windows that offer the best views, while coming equipped with flat-screen TVs, private bathrooms, stylish dark wooden furnishings, mini-bars and private balconies. 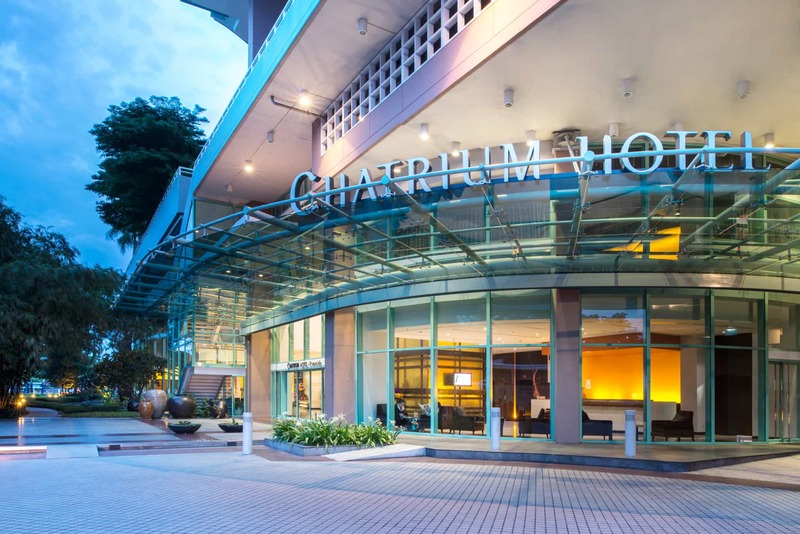 The Chatrium Hotel Bangkok Riverside Bangkok onsite facilities include an outdoor swimming pool, a spa, a fully-equipped fitness center, lots of free parking, a 24-hour lobby, free Wi-Fi and sauna. Take advantage of the hotel’s Pier 28 restaurant or a buffet on the Royal Barge, or even some modern Cantonese food at their Silver Waves eatery. The choice is endless. With a free shuttle bus every 15-minutes, you can get to the nearest BTS Skytrain station with no fuss whatsoever.